Look at the beautiful ghost statue! Emerson made so much fun of me and rightfully so! I walked into the Peggy Guggenheim sculpture garden and was overly excited to see it all. I said to the kids, “look around and take it all in! 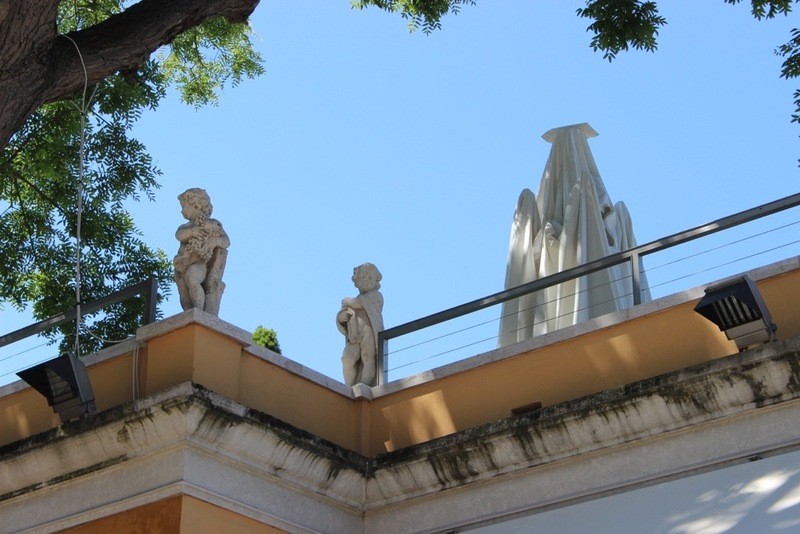 Check out the cool ghost statues on the roof next to the cherub statues.” Emerson said, “Mom- are you kidding? They are moving in the wind. Those are big umbrellas, not statues!” I said, “That’s the beauty of art- it’s everywhere!” Aye-yi-yi!